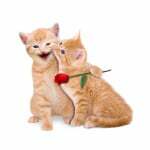 This site is dedicated to the domestic cat and to all cat lovers! Domestic cats certainly are loveable. They are also independent as well as smart and sensitive. Domestic cats loves to interact with humans, but only on their own terms. They need affection, care and attention, but the cat decides with who and the when. The domestic cat is unique. Blessed. Sacred. Cats are one of the most popular pets in the Western World. As with us humans the feline species come with different temperaments and one cat may have completely different needs of another cat. 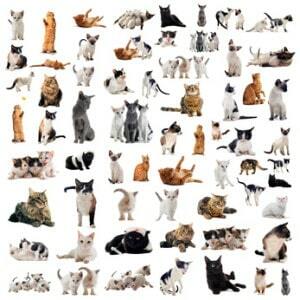 It is important to gain knowledge of the various cat breeds before welcoming a cat to take up residence in your home. Read about the different cat breeds. You may be a little surprised to find how different their traits are. There are indeed plenty of beautiful cat breeds from which to choose. 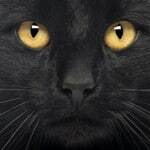 There have been a lot of superstitions about the black cat throughout history. Some of the beliefs about black cat have been absolutely horrendous. 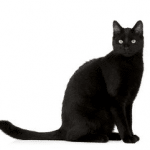 We also find that there are people who had a much more favorable view and believed black cats were good luck. Read more about Black Cats. 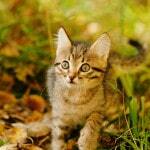 Find out why some cats are called Tabby cats. Both Christians and Muslims have a legend about the M marking on the forehead of the Tabby. 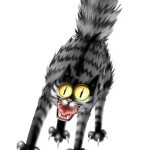 Read the two different sweet legends about how the Tabby Cat got the M marking on its forehead. There are so many different legends about the domestic cat. Some are strange and others are quite wonderful. Start your journey into the world of cat legends here. Almost every country has some kind of superstition about cats. Here is a collection of well-known superstitions and some that are not so wide spread. 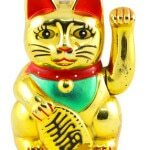 You have probably seen a lot of these Japanese good luck cat statues all over the place. The cat is called Maneki Neko and is thought to be very auspicious. 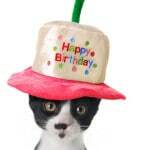 Every cat lover should own one! Do you know the story about the Beckoning Cat? Read more about Maneki Neko. Cats were at one time sacred and worshiped by humans. 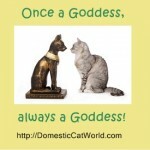 The cat goddess called Bastet was highly regarded in Ancient Egypt. In Ancient Egypt the consequence of killing a house cat was the death penalty. Citizens were required to shave off their eyebrows should their beloved house cat die. They had to show their sincere mourning for the departed cat publically. Many humans may have forgotten the high status the felines once had in society. It is evident the cat has never forgotten it was once worshipped as a goddess! t takes a little effort to find an awesome name for your new cat. Here are some suggestions to get you started. Also study the list of cat names given to cats by some well-known people. A lot has been said about the domestic cat. Here you will find a large collection on cat quotes. Seems a lot of people have an opinion about the feline spices. There are quite a lot of songs about cats. 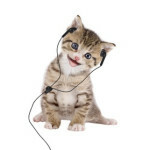 Here is an assortment of favorite songs about cats. You may just know most of them by heart! Singing about the domestic cat should be part of your weekly routine! Yes, there are plenty of cats who earn a good living. 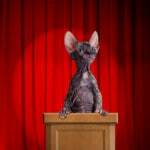 Cats have had huge success working in commercials. Movie star cats are also well acknowledged. Some cats have received paychecks working as mousers. All cats have whiskers. 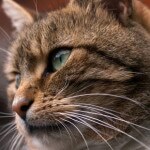 Do you actually know why cats need their whiskers? 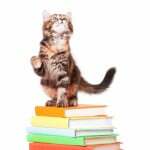 Find out how the domestic cat uses its whiskers to make life easier and safer. Some favorite old nursery rhymes from our childhood days involve cats. 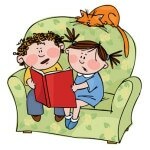 If you have small children or just want to go down memory lane, read some of the nursery rhymes about cats. 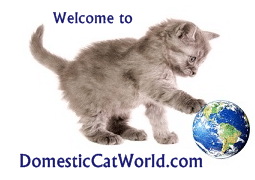 Here is a page dedicated to fun facts about the domestic cat. This is purely for cat lovers. Read more on the Cat Fun Facts page. Unfortunately not all people consider the domestic cat a lovable pet and companion. Too many people have a different view on our feline friends. 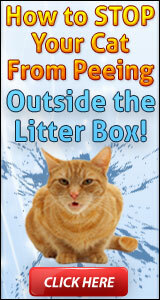 Some of things cats must endure are simply gruesome. Read about horrible facts about cats at your own risk. Kittens are absolutely adorable. 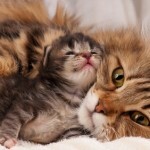 Find out how the mother cat cares for her kittens the first months of their lives. Learn when to expect what after kittens are born. 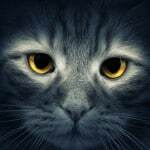 Are you curious to know how old your cat is compared to human years? Find out here. Your cat just may be older than you think. 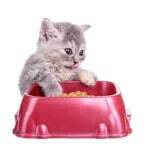 Do you find it convenient to feed your domestic cat dry food? You may be doing your pet more harm than good without even knowing it. Find out why it is vital to your cat’s health that you groom your cat on a regular basis. This is not something that you should skip. 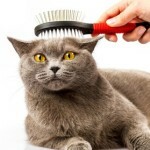 Grooming your cat is important for several reasons. Get familiar with the sleeping patterns of the domestic cat. Find out what you may want to think about when searching through the great amount of cat beds on the market. 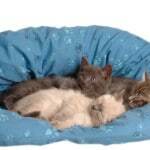 Know the best spots to put the cat bed. 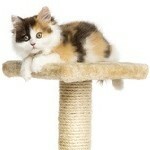 Some thoughts about cat towers; why this may the most important piece of furniture in any home where a cat resides. Make your cat happier. Find out what fabric you need to avoid when investing in or making a cat tower. Do you know why some cats are attracted to catnip? Find out what happens when cats eat catnip. Did you know many humans enjoy catnip? Find out why some people enjoy catnip and what effect catnip has on humans. You may have some plants and flowers in your home that could be toxic to your cat. 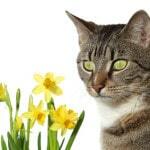 If your cat suddenly seems ill, it may be your cat has tasted a plant or flower that is toxic. Read more on toxic plants to cats. What do you know about the cat and the Bible? Did you know our beloved domestic cat actually has a Patron Saint? Read about the Monastery of Cats at Cats in Religion. Not all cat history is completely grim. Read about the very weird laws Howell the Good passed concerning cats. Howell the Good was Prince of Wales and King of Britons. Read more about the cat laws at Howell the Good.